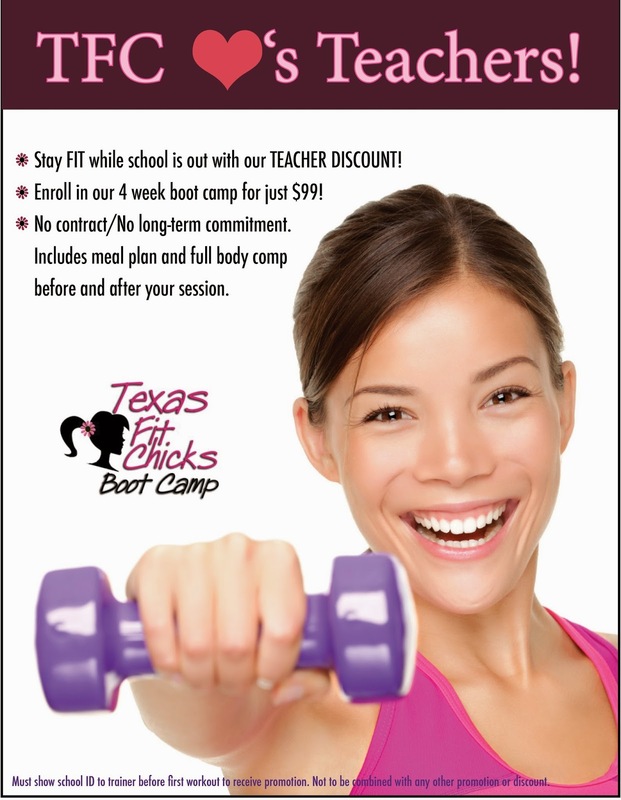 Texas Fit Chicks Teachers Deal!! Stay FIT this summer for less! got an awesome promotion just for you! plan and full body comp before and after your session. Must show school ID to trainer before 1st workout to receive promotion. Not to be combined with an other promotion or discount. Ready to sign up? Find the location you want to join on our website (www.texasfitchicks.com) email the trainer directly on instructions on how to register and start with us any Monday!